Usually the best cleaners are full of chemicals. so I tried my hand at making some homemade grout cleaner. I’ve been on a deep cleaning kick…or at least I’m thinking of being on one. I decided to tackle the grout in our bathroom which had gotten pretty nasty. 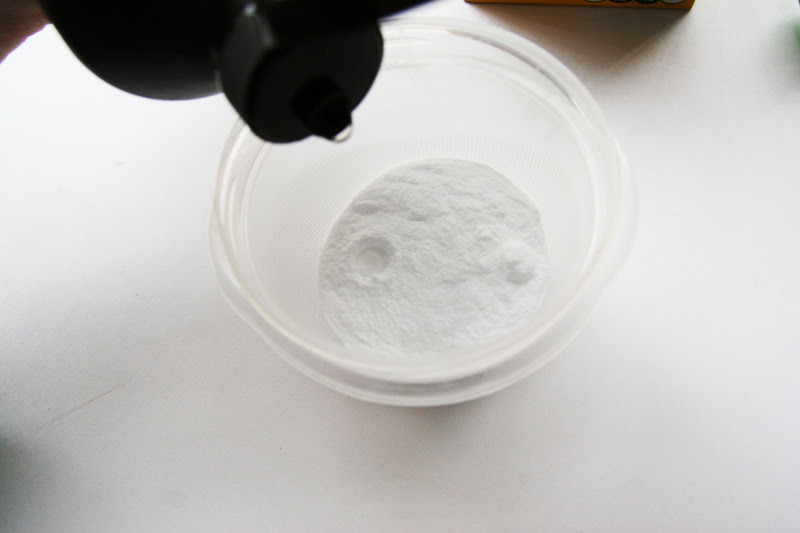 I came up with this grout cleaner that is all natural and worked well! I love this because my girls can help me and I don’t have to worry about any harmful ingredients. 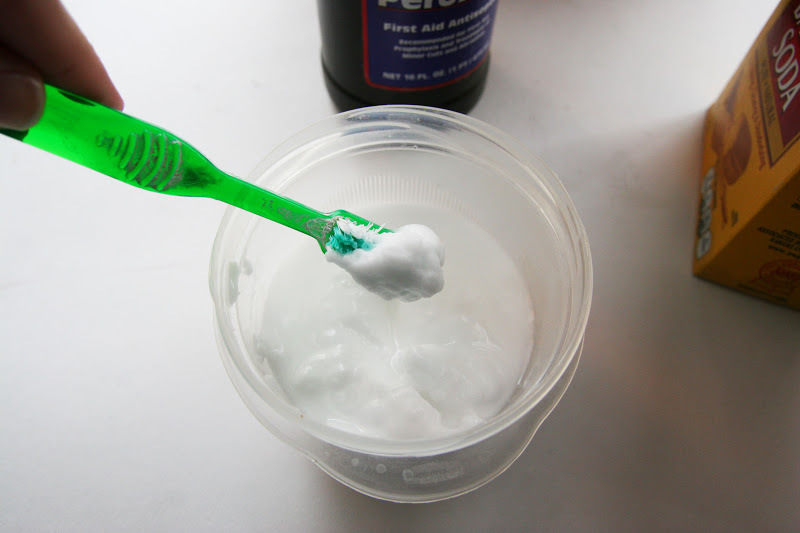 Once it forms a toothpaste consistency, you are ready to apply it. Use an old toothbrush and apply it to the grout. I let mine sit for about 30 minutes, then I went back and scrubbed it with the toothbrush. I sprayed some vinegar and water on the areas, which will cause the grout cleaner to bubble and kept scrubbing until it was clean! Rinse with water. Fantastic! My daughter loves helping me with cleaning , too. I give her this opportunity only if I am sure that ingredients are non-toxic. Thank you for sharing this post. We will definitely try your recipe. Best regards!